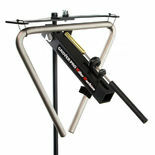 This is the Grover Pro Miller Machine bundled with the Grover Dual Triangle Mount. This allows the player the flexibility of mounting the triangle with either single or dual point suspension. Suspending from two points ensures that the triangle remains perfectly steady, even when playing very fast repetitive notes. Grover Pro Miller Machine is the result of Grover teaming up with innovator Billy Miller to create the ultimate triangle triggering device. 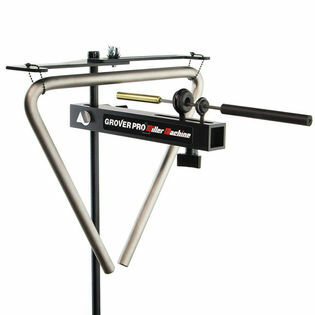 Grover's machine accommodates triangles up to 10" in size and comes with a Grover Pro Brass Tubular beater. The fully adjustable machine allows multi-percussionists to play a triangle with their hands or mallets. The angle of the beater can be set at either 90° (for a focused sound) or at 135° (for creating a spread of overtones). Made in the USA.